Written by Sadhguru, originally posted here. 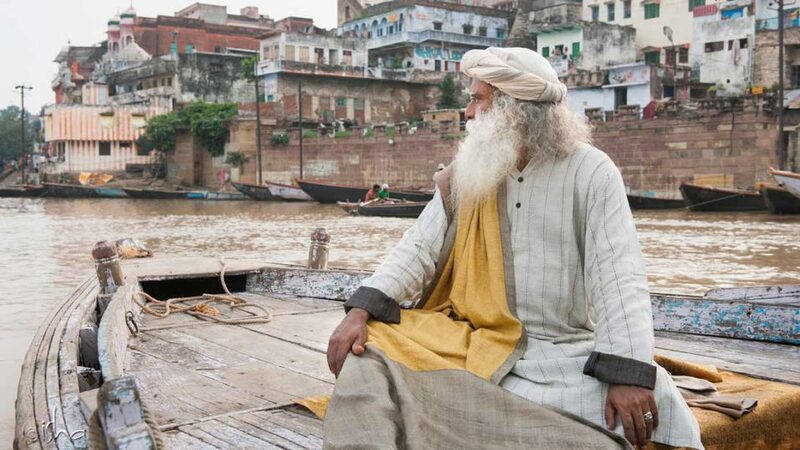 “If you ask me what rivers mean to me – they are the very origin of our Indian civilization. At the riverbanks of the Indus, Sutlej, and the ancient Saraswati River is where it all began. And around Krishna, Kaveri, and Godavari, the southern part of this civilization developed. These rivers and this land have nurtured us for thousands of years. Now in two generations, we are turning it into a desert. If you fly across India, you will see very few green patches – the rest is all arid land. Our rivers have been depleted dramatically in a matter of a few decades. Indus and Ganga are now among the ten most endangered rivers on the planet. Kaveri is maybe forty percent of what it used to be when I was a young boy. For the last kumbha mela in Ujjain, they had to pump water from the Narmada to create an artificial river, because there was no water in the Kshipra. Rivers and streams have gone dry. The groundwater levels have fallen drastically in recent years. Drinking water has become scarce in many places. I salute the initiative, being thought to b spread pan India. We all know, life is unsustainable without water and now it is endangered. Thus, it’s high time to go for a collective effort and do small things as possible as an individual to save water and replenish it for future generations. We couldn’t agree more, Animesh! We hope more people can realize this and activate change together… Thanks for the comment!